So, I have another fun, exciting & different sample box for you guys today. It’s called My Dream Sample Box. What’s different about My Dream Sample Box is it highlights handmade and small businesses from all over the web. This sample box company has several different options as far as box sizes and styles. There are Mini, Mighty & Mega sized boxes for exclusively handmade samples or you can opt to get their monthly Masters box and sample a lot of familiar direct sales companies- along with some exciting ones I didn’t even know existed! In addition, they also have a few options for specialty boxes- great to highlight a special occasion & get a mix of handcrafted and direct sales items. 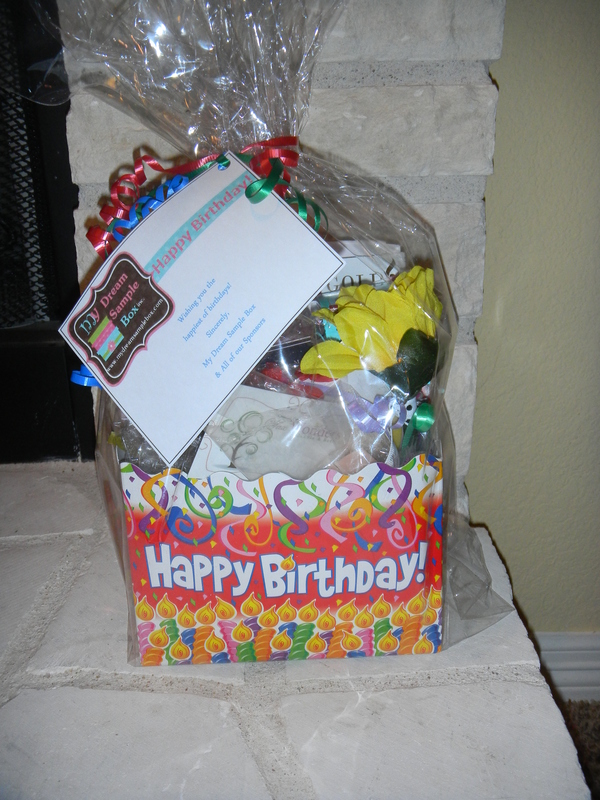 Because my Mother-in-law’s Birthday is today, I opted to give the Happy Birthday themed box a try! The Happy Birthday Box costs $22.50 and like I mentioned before is one of their Specialty box- the contents are a mix or hand made and direct sales and it contains 15-30 samples! The first thing that jumps out of you is the presentation. It’s super neat and cute- definitely something I’d be happy to gift. I was excited to share this with my mother-in-law. 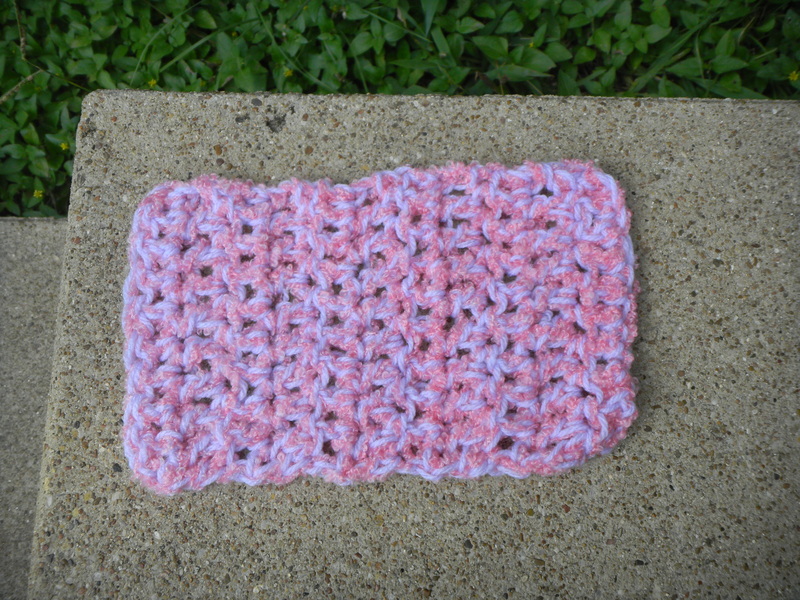 This first thing she pulled out was this crochet item. She thought it was a disk towel/scrubber. I thought maybe a wash cloth. I’ve seen these used in several different ways. This item, along with most items, came individually gift wrapped by the sponsor. In most cases, business cards and information on ordering was already on hand. I thought that was a nice, convenient, touch. This was included from Megan’s Treasures. Next was a little goodie bag from a company I’m plenty familiar with- Thirty One. This was included by Tammy Miller. They sell bags, but not just any bags. Utility bags, diaper bags, purses- and it’s all specially designed for busy moms and bag lovers. In the goodies bag, there was a candy, a mini catalog and a mini purse hanger/ornament. 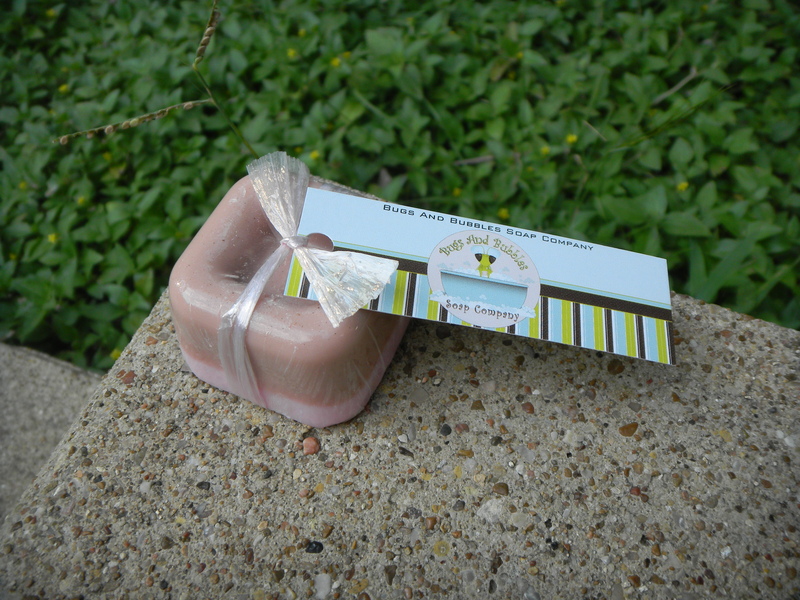 Also included was a very nice smelling handmade soap by Bugs & Bubbles. We really loved the way this soap sample looked. The two tones was a nice added touch & it smelled nice as well. 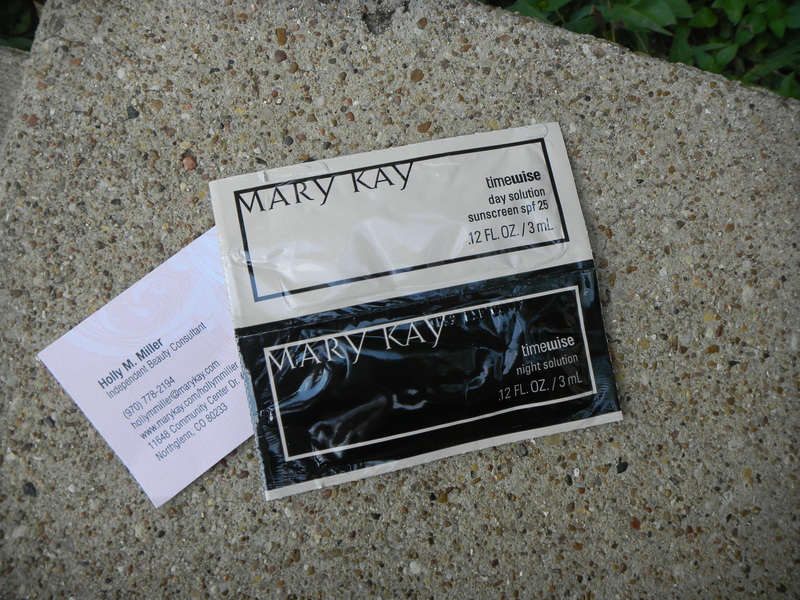 The woman behind the box, Holly Miller, is also a Mary Kay consultant. She included samples of the Day Cream and Night Cream. You can never go wrong with a little bit of Mary Kay. This was a new company to me- Pink Papaya. They included a sample of the most amazing smelling lotion in the scent “Gypsy”. I went over to Pink Papaya and looked up the consultant Ariel Fix. It looks like a spa company and you can host parties with your girlfriends! Where do I sign up?! This was a full sized candle from Granny’s Kountry Candles. 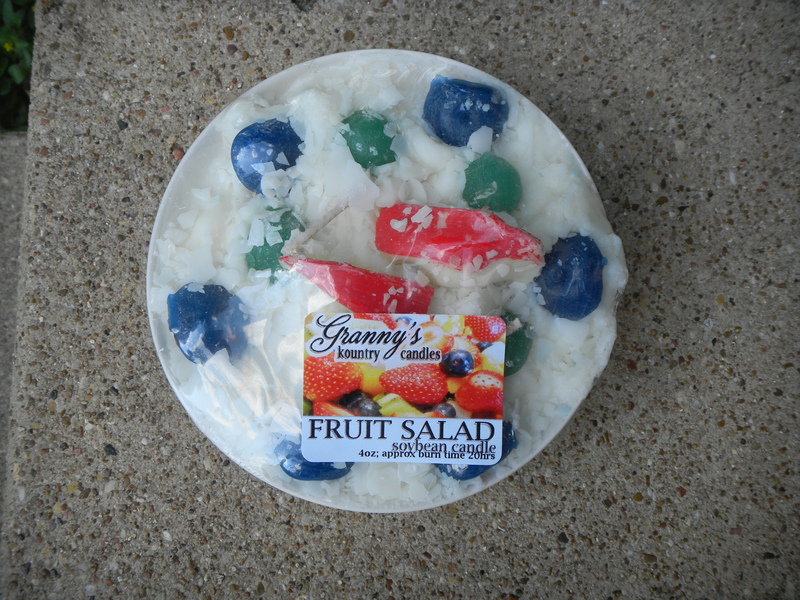 – complete with individual pieces of fruit in full detail. I had no idea until seeing this that Dove chocolate even had sales reps. 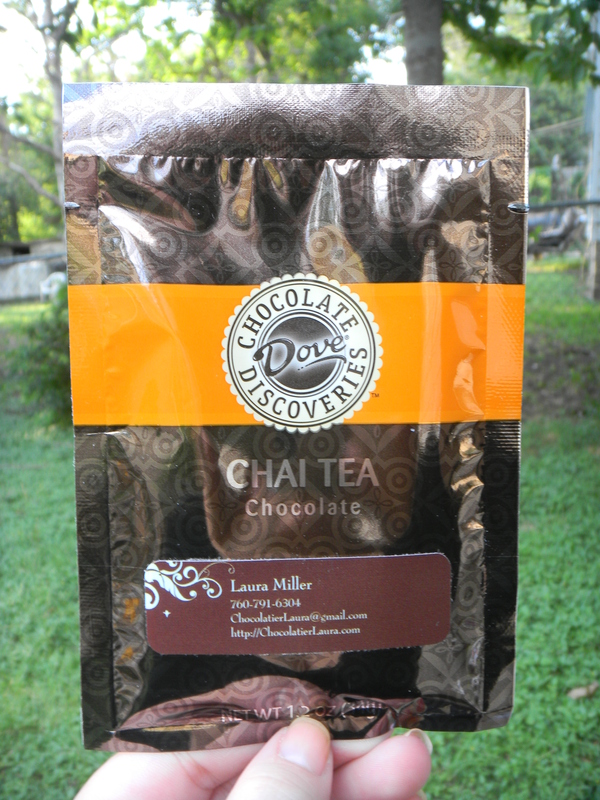 I also didn’t know that they made a chocolate flavored Chai Tea- yummy! This sample was included by Laura Miller. I’ll have to ask my Mother-in-law later how she liked it. It looks like you can even book parties with Dove Chocolate Discoveries- that is one party I would RSVP to. 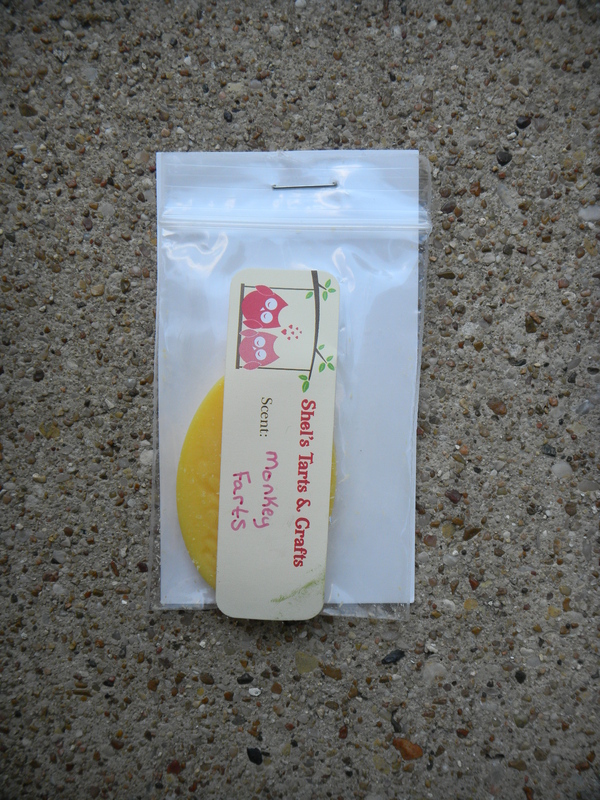 Next we got a wax melt sample by Shel’s Tarts & crafts. My mother-in-law got a good giggle out of the name. It smells really nice & nothing like I ever imagined Monkey Farts would smell like. Next was a sample from Jamberry Nails. These are so cute! Included was a cute little assortment from their black and white selection. 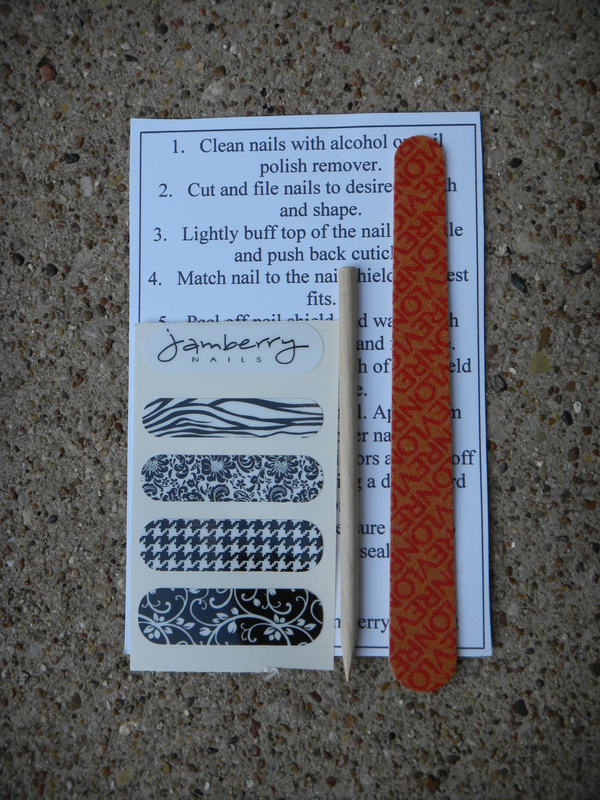 I’m familiar with nail shields but I hadn’t heard of Jamberry nails until now. 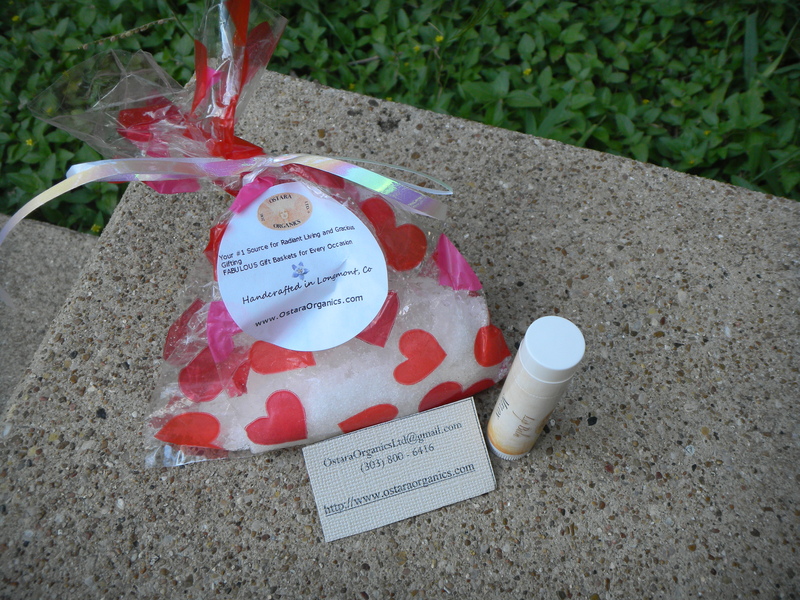 The next two samples were from a company called Ostara Organics. & I’m excited to head what she thought of them! 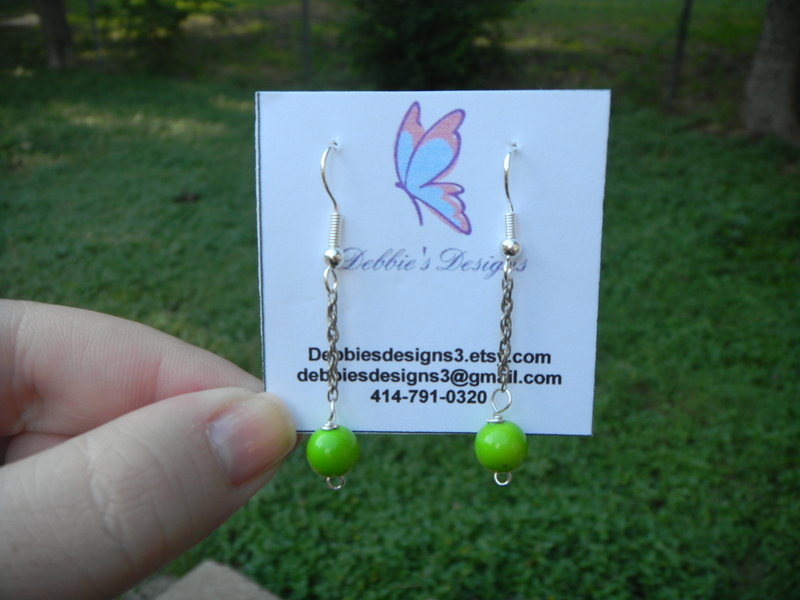 A lovely Etsy shop called Debbie’s Designs included these cute upcycled vintage earrings. 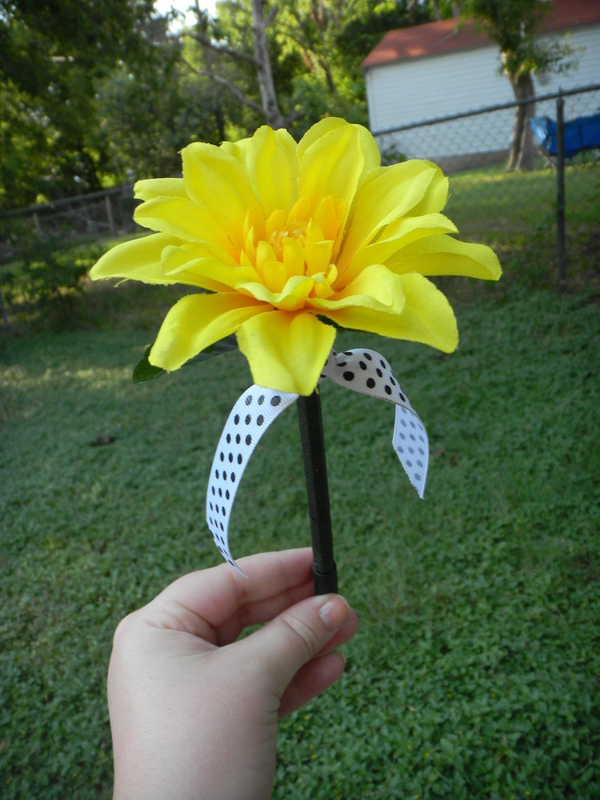 This adorable pen is sure to get some use. It was a nice accent to really add to the gift. This came from Kristy Cooper with Celebrating Home. She also included a full size brochure to look at- they have some great things for your home. These coffee/fall scented melts were from a company called Wax Wonders. 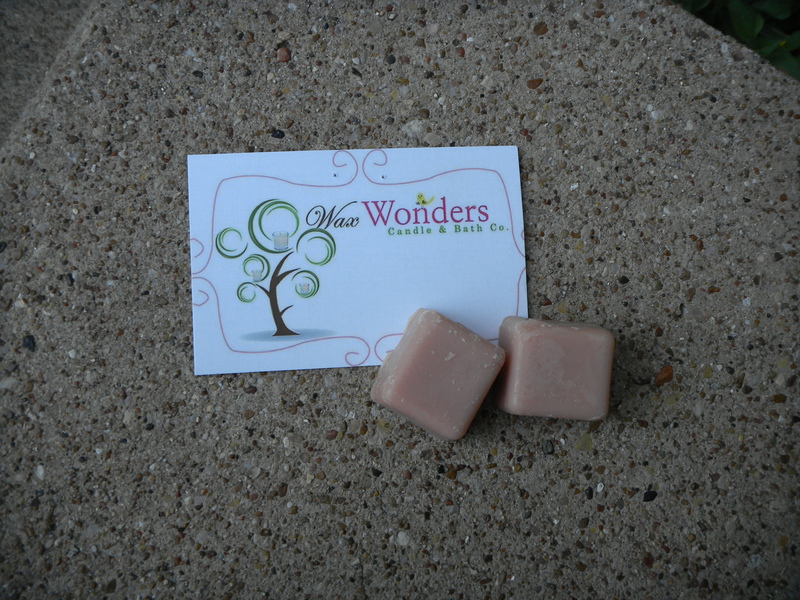 Wax Wonders uses Soy Wax which is just better all around. You can read more on that under their “Why Soy Wax?” Tab. 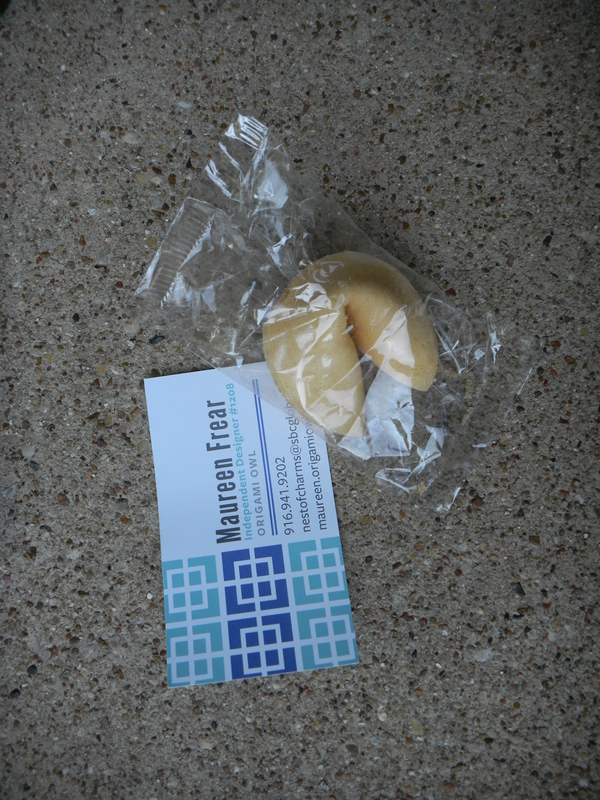 This cute little card and fortune cookie came from Maureen of Origami Owl. This company is SO adorable! Inside the cookie, there is a special message. I peaked at it a little, but I’m leaving my mother-in-law to open it and see what is inside. Origami Owl sells necklaced that you can customize with super unique charms. 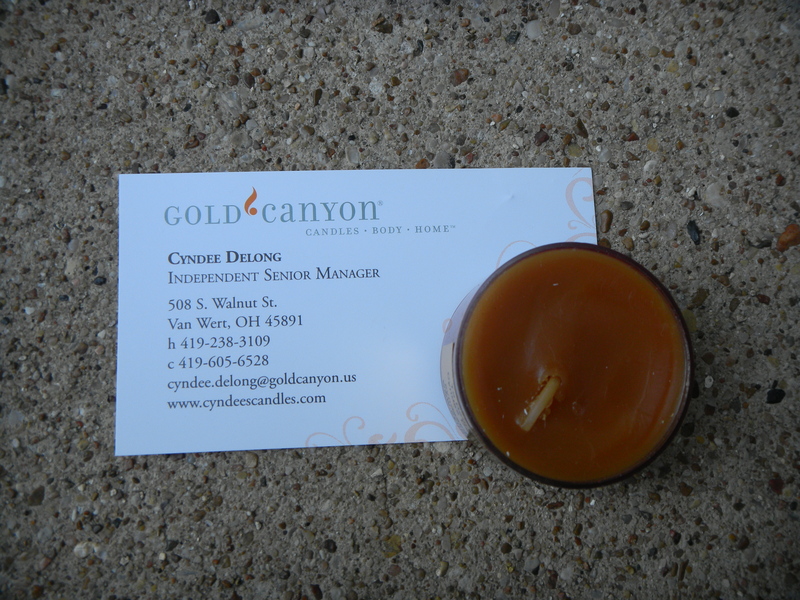 This Fall scented tea light candle came from Gold Canyon Senior Manager, Cyndee Delong. 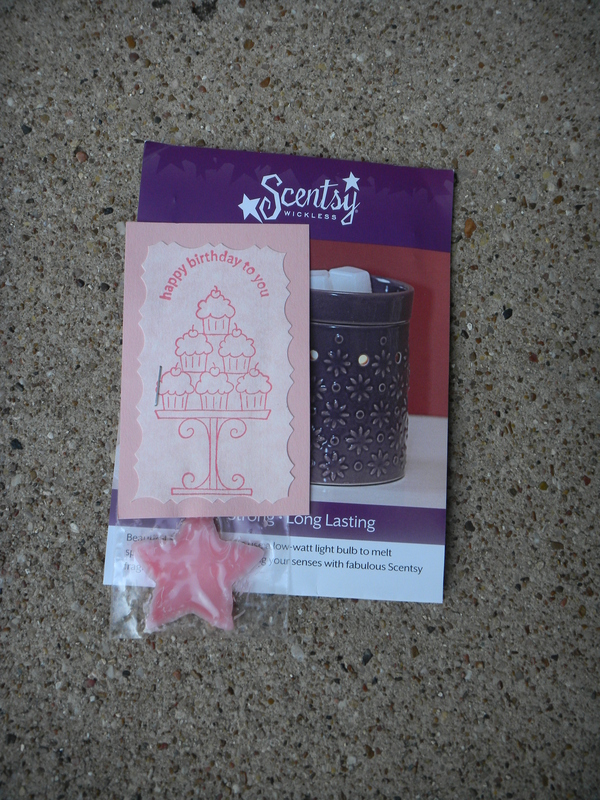 Next was a sample (with a cute Happy Birthday Card) from a big wax melt company that you’ve all probably heard of- Scentsy. As always, this smells good enough to eat. They also included a little brochure on their warmers. 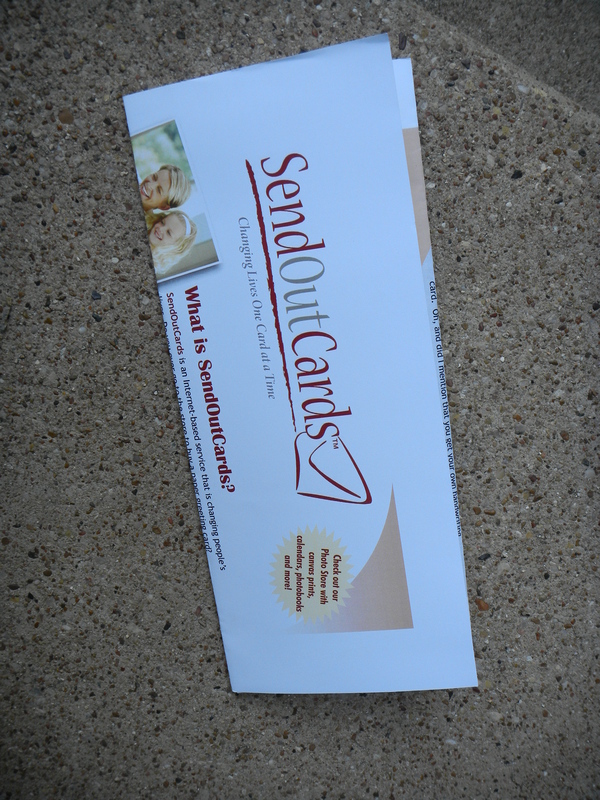 And last, but not least, was a gift certificate from a company called Send Out Cards. This gift is for 3 cards sent directly to whomever you’d like. Opening up the Birthday box was definitely fun for my mother-in-law. Several times she commented, “There is SO much stuff.” This box ended up having 20 samples! Not bad at all. My Dream Sample Box is a fun way to learn about new companies. I thought a lot of these companies would appeal to my girlfriends, especially the ones who usually throw or attend direct sales parties. The Etsy shop owner in me adored the handmade items and found them all to be well made. Be sure to check out My Dream Sample Box for yourself and “like” their Facebook page– I hear the owner, Holly, can get a little Giveaway happy 😉 & it looks like there is one going on right now! This entry was posted in Uncategorized and tagged birthday, box, candles, mary kay, mega, my dream sample box, reviews, wax melts. ← Wittlebee, We LOVE You! 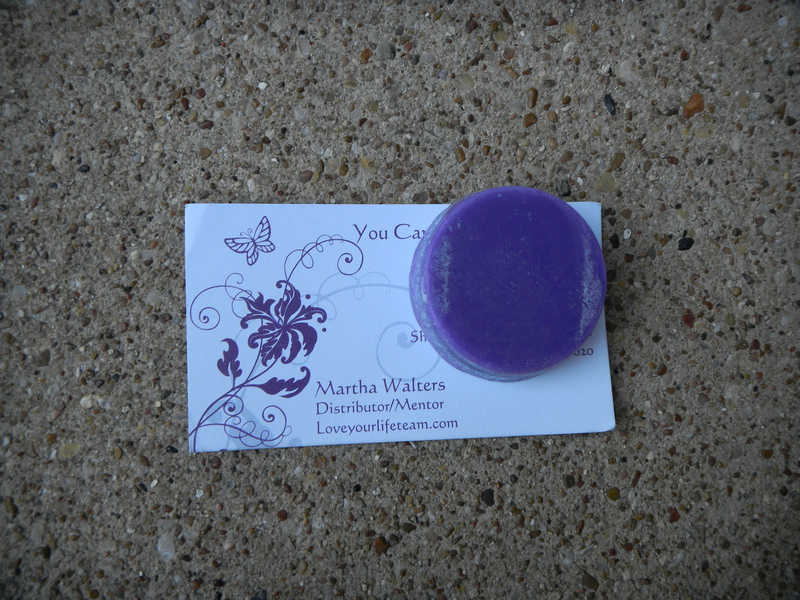 Thank you for the input on Love Your Life Team Lilac Mia Melt. . That is the name of my website with Scent-Sations. http://marthas.scent-team.com. Good to hear that someone not knowing what this melt is or wants to know what company it is from sees with my biz card. Love this kind of feedback. Thank you.